Tomorrow Butler University will confer degrees upon approximately 1,000 students, who will experience a range of emotions as they reflect upon their college years and their futures. I normally also find myself in a reflective mood this time of year, thinking about how well Butler University has educated and served these graduates, and how much we will miss their presence on campus. As Butler has found itself in the media the past couple days, I must admit that my self-reflection is more intense than usual as I consider the range of opinions, emotions, and comments coming our way about the role of our University in the education and development of students. While I am always cautious about overreacting when in the eye of the storm—especially when all the facts of a situation are not public—it does seem an appropriate time for me to share some thoughts with the community. As has been the case when I have previously commented on Butler matters, I have had the advantage of grounding myself on Butler’s history, values, and traditions. A consistent thread going back to the founding of the University by Ovid Butler is a commitment to all people and ideas. Thus my job as Ovid’s successor is to ensure that our community is a just, fair, and safe place in which all people may thrive equally. The last couple days I have heard from many who have questioned whether or not we have upheld the value of being a fair and safe place for all political ideas. This viewpoint is based upon the Trumpism and U.S. Democracy course being offered at Butler next fall. Information on the course can be found online. Many people believe Butler should not offer this course, indicating it presents a one-sided political position or that it called into question the President. I disagree with that view. The more complete description of the course makes it clear that the educational objectives are quite consistent with our role as educators, namely, to promote critical inquiry and to engage our students on topics, even if controversial. Secondly, I defend the long-standing principle of academic freedom and the right of our faculty to teach courses that they believe advance knowledge, and to do so without fear of censorship. I find myself particularly sensitive to a prevalent theme of criticism that Butler may be failing when it comes to presenting a balanced political perspective. Many who have made that point also connect it with a commonly held perception that universities, as a whole, are liberal-minded. While I’ll set aside comments on the latter, I do agree that Butler needs to ensure that we present a more balanced political perspective, thereby adhering to our University’s foundational values. Butler does not do a regular inventory of all courses to ensure that there is perfect balance of various viewpoints at all times. There is no university I know of that would take on that task. I might also add that the job of a president, provost, or dean is not like that of a movie theatre manager who may decide not to show a movie because it may be controversial. Some have suggested we cancel the course, however, that is not a path a university would pursue unless there is truly a legitimate and compelling reason to do so, one akin to yelling fire in a movie theatre, if I am to stick with that metaphor. What we can do as leaders of Butler University is to work diligently to incent and support a broader representation of viewpoints in and out of the classroom. My self-reflection on the eve of Commencement is that we must do better on this very important point. If an educational opportunity does indeed focus on only one side of the political spectrum, then we must find ways to offer opportunities on the other side, and we cannot be swayed by the current political or social environment at the time. More specifically, I have decided that the explicit focus of the upcoming academic year’s Celebration of Diversity Distinguished Lecture Series will engage our community in the topic of civil discourse across political lines around contentious political issues and will ensure speakers who represent a wide range of opposing political ideologies. I’m charging Academic Affairs and Student Affairs leadership to build programs and activities around this theme. As I consider my own graduation, as a Religious Studies major at John Carroll University, I remember a Philosophy of Religion course taught by a professor who consistently presented a point of view that would have students question religion and the ability to prove the existence of God. I truly thought the teacher was an atheist. Many years later when reading his obituary, I was stunned to read that he was a devout Catholic, attended Church faithfully, and taught religion classes to the parish youth. There is great value when a faculty member sets aside personal opinion and beliefs, and I am quite confident Butler faculty strive to do the same. As we dedicate ourselves to our founding values and ensure all viewpoints are presented and supported at Butler University, I do hope we can encourage our students to understand the value of engaging in dialogue and courses that take them out of their comfort zone. If so, Butler students who receive their diplomas will be much better prepared for the complex world in which we now live. My congratulations to our graduating students and my sincere thanks to our outstanding faculty and staff for their dedication to challenging and educating our students. "My congratulations to our graduating students and my sincere thanks to our outstanding faculty and staff for their dedication to challenging and educating our students." Two of Indiana’s most prominent and respected political leaders, former U.S. Senator Richard Lugar and former U.S. Representative Lee Hamilton, will sit down for a discussion with former Lieutenant Governor and current Ivy Tech Community College President Sue Ellspermann at 6:00 PM Monday, November 13, in Clowes Memorial Hall as part of Butler University’s Celebration of Diversity Distinguished Lecture Series. 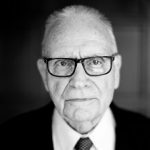 A Conversation with Senator Richard Lugar and Representative Lee Hamilton, co-presented by Ivy Tech Community College, is free and open to the public, but tickets are required. They will be available beginning Friday, October 19, at 10:00 AM at the Clowes Hall box office and through ButlerArtsCenter.org. 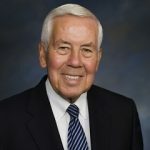 At a time when the country seems politically polarized and incapable of engaging in civil discourse, Lugar and Hamilton will talk about ways to bring us together. Lugar is the longest-serving member of Congress in Indiana history (1976–2012). He currently is President of The Lugar Center, a non-profit organization focusing on global food security, WMD nonproliferation, aid effectiveness, and bipartisan governance. 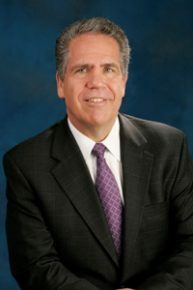 He serves as a Professor of Practice and Distinguished Scholar at the School of Global and International Studies at Indiana University and is distinguished faculty member in the Department of History and Political Science at the University of Indianapolis, where he leads the Richard G. Lugar Symposium for Tomorrow’s Leaders. Hamilton, who served in Congress for 34 years (1965–1999), is Director of the Indiana University Center on Congress, a non-partisan educational institution seeking to improve the public’s understanding of Congress and to inspire young people and adults to take an active part in revitalizing representative government in America. Located on the IU Bloomington campus, the Center offers an extensive array of civic education resources and activities aimed at fostering an informed electorate that understands our system of government and participates in civic life. 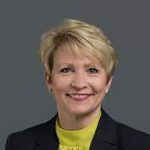 Ellspermann has more than 30 years of experience in higher education, economic and workforce development, and public service. She was selected to serve as President of Ivy Tech Community College and began her tenure in May 2016. She is the ninth individual to hold the position and first female president for the college. Ellspermann served as Indiana’s 50th Lieutenant Governor from 2013 until March 2016. BU Well, Butler University’s open-access, multimedia, student-run healthcare journal, published its second volume on Friday, April 21. The volume features eight articles on a variety of health-related topics ranging from ulcerative colitis, to the layout of a grocery store, to language barriers in the medical profession. BU Well uses three formats to deliver information: print, an informational YouTube interview video, and an infographic highlighting key aspects of an article or other health topic. The open-access journal is available on Butler University’s Digital Commons website, http://digitalcommons.butler.edu/buwell/. The second volume contains eight articles. Four articles discuss the connection between healthcare workplace culture and community wellness, including mental health and how personality types can help communication between pharmacists and patients. The remaining articles cover an array of topics and they provide a unique perspective to all aspects of healthcare. 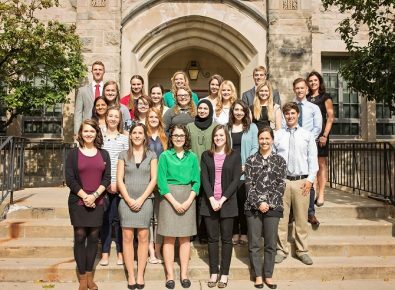 Nearly 25 students from three of the six colleges at Butler University participated in the publication of the journal. Two Assistant Professors of Pharmacy Practice, Dr. Annette McFarland and Dr. Sheel M. Patel, serve as faculty advisors. The third volume will accept submissions beginning in the fall semester. Please follow our website for more information on how to submit an article for possible publication. BU Well invites students, residents, faculty, healthcare professionals and others to submit both original and scholarly healthcare articles for publishing consideration. More information is available at BU Well’s Facebook page, https://www.facebook.com/BUWellJournal and on Twitter @BUWellJournal. BU Well is one of the nation’s only student-run, peer reviewed multimedia healthcare journals. One in three women and one in four men will experience an abusive relationship in their lifetime. Butler University students and staff are committed to eliminating this statistic by ending dating violence and sexual assault on campus. And they’re doing a pretty good job at honoring this commitment. 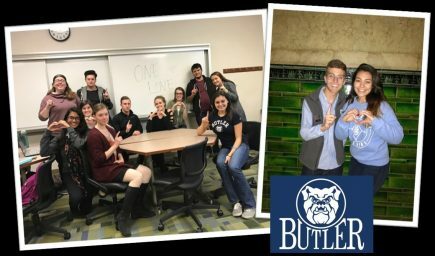 Butler has been recognized as “Top Campus” in the One Love Foundation’s Escalation Workshop Challenge for putting on 11 peer-facilitated workshops about dating violence during the month of October. The Office of Health Education and Outreach Programs partnered with the One Love Foundation to offer these workshops to students in Greek life and residential life, with plans of expanding to more student groups on campus. The One Love Foundation was created in honor of a young woman at the University of Virginia, Yeardley Love, who lost her life to domestic violence. The workshops consist of a video called “Escalation,” which shows the subtle warning signs of an abusive relationship and how it can escalate into a dangerous situation. Following the video, students participate in a discussion led by one of their peers who is trained to guide the conversation. 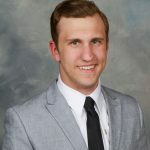 Joe Martinelli ’20 facilitated an Escalation Workshop for his fraternity. He says the workshop spurred a tough conversation that doesn’t happen enough because of how difficult it can be. Martinelli also shows his commitment to the cause by serving on the executive board for the Stand Tall Project. He got involved with the Stand Tall Project after he heard a few of his friends talking about it. This organization was founded with the goal of ending sexual assault and domestic violence on college campuses. Through the work of the Stand Tall Project, Martinelli hopes to see positive change in his peers. Martinelli believes that Butler has been so successful in its efforts to prevent dating violence and sexual assault because of the small, tight-knit community developed by the student body. Along with the Stand Tall Project, the Office of Health Education and Outreach Programs oversees PAWS (Peers Advocating Wellness for Students), GEAR (Greek Educators, Advocators, and Resources) and Red Cup Culture, which are all peer-driven organizations and resources with similar missions. The office is also home to Butler’s Prevention Educator and Victim Resource Specialist, Sara Minor. 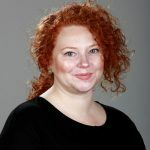 She deals with all sexual assault prevention strategies on campus and serves as the Victim Advocate for anyone who has experienced sexual assault. Butler University offers multiple resources and peer-facilitated organizations to help students educate themselves on issues surrounding dating violence and sexual assault.